Last weekend, the Pitmen suffered their second defeat this season, with the unbeaten run being interrupted by Karpaty (0-2). Now the Donetsk team are going second in the U21 league table with 35 points. At the same time, the charges of Valerii Kryventsov scored the most goals in the U21 league, conceding less goals than the other teams (goal difference of 39-9), with the striker Mykyta Adamenko leading the top scorers list (10 goals). Defender Danylo Ihnatenko, who is suspended due to the number of his yellow cards, as well as the injured Denys Arendaruk, Vladyslav Trescheiko and Ilya Ichuaidze, will not be able to help Shakhtar in the game vs Dnipro. The good news is the return of captain Oleksandr Pikhalyonok to the team line-up. After fifteen rounds, Dnipro had six wins, two draws and seven defeats, ranking sixth in the table (20 points, goal difference 27-23). 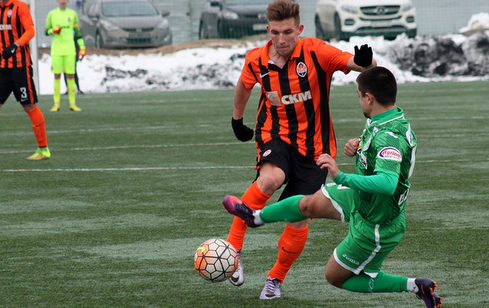 In the previous round, the charges of Oleksandr Poklonskyi claimed a narrow win over Vorskla (1-0), with the only goal scored by Denys Balanyuk. The team's top scorer this season is Yehor Nazarin who netted five goals. The defender Volodymyr Kirichuk will not participate in the game vs Shakhtar due to suspension. In the reserves competition, the sides had 25 face-to-face meetings. Shakhtar have 12 wins, Dnipro have 7, with 6 draws. The goal difference is 40-29 in favour of the Pitmen. 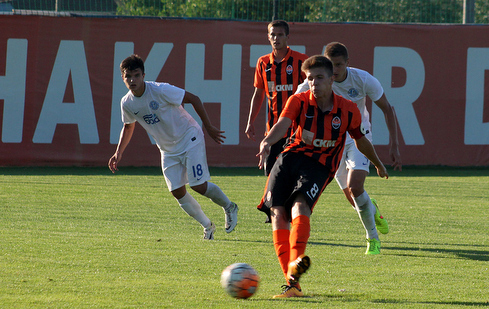 Last season, the Orange-and-Blacks defeated Dnipro at home (2-0), with a 0-0 stalemate registered in the away game. In the first round of the current league season in Schaslyve on August 20, Valerii Kryventsov’s team proved stronger. Before the break, Donetsk failed to convert their advantage, plus they conceded one after Dnipro’s counterattack (with Nazarin scoring). However, early in the second half, Pikhalyonok equalized from the spot, with Mykyta Adamenko scoring a winner four minutes from time to make it 2-1. Shakhtar midfielder Oleksandr Mihunov once made 95 apps for Dnipro U21, also playing for the senior team on three occasions. Shakhtar defender Ilya Ichuaidze was born in Dnipro.